On this episode of The Nurse Keith Show, holistic career coach Keith "Nurse Keith" Carlson discusses some thought-provoking and innovative out of the box ways to move your nursing career forward. Tired of the same old career development strategies? Maybe one of these ideas is for you! 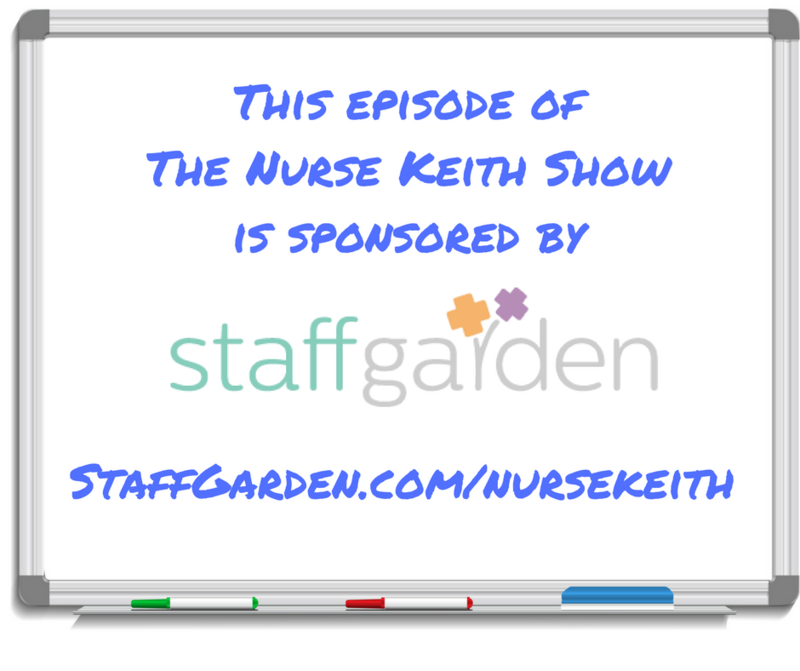 This episode of The Nurse Keith Show is sponsored by StaffGarden, a digital healthcare company offering a free, unique, and secure online ePortfolio for nurses who want access to exciting employment opportunities they won't find anywhere else. Click here to check out the upcoming National Nurses in Business Association annual conference in October of 2016, where Keith will be presenting and exhibiting. Keith is a holistic career coach for nurses, as well as a professional podcaster, published author, inspiring speaker, and successful nurse entrepreneur. On this episode of The Nurse Keith Show, holistic career coach Keith "Nurse Keith" Carlson discusses the importance of cover letters, offering specific expert tips and advice for making your cover letters less generic, and more targeted and effective. On this episode of The Nurse Keith Show, holistic career coach Keith "Nurse Keith" Carlson discusses the differences between nurses from Generation X and the Millennial and Baby Boomer generations. In order to have increased nurse satisfaction and a positive workplace culture, the various generations of nurses need to treat one another with compassion while creating positive, collaborative relationships that celebrate one another's strengths. On this episode of The Nurse Keith Show, holistic career coach Keith "Nurse Keith" Carlson discusses the importance of nurse self care, and the reasons why nurses need to actually take breaks in order to avoid burnout and increase the longevity of their nursing careers. In this episode, Nurse Keith offers a 7-point challenge for nurses to bring self-care to their workplaces.